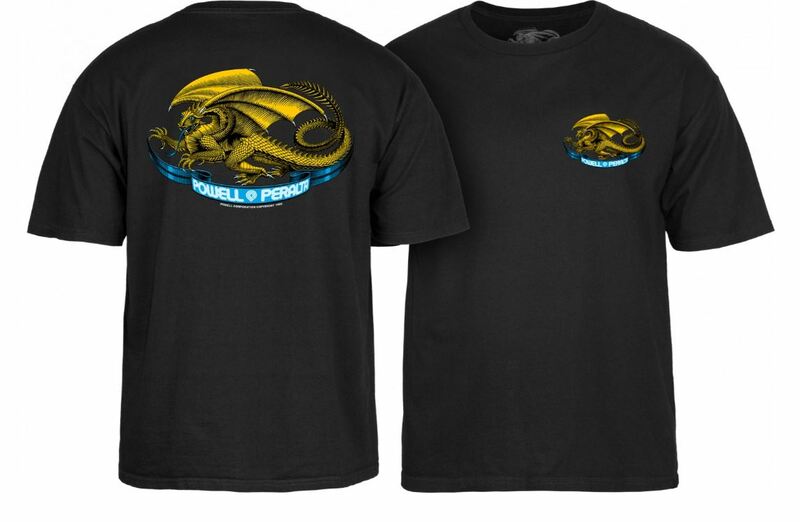 Powell Peralta Ripper Black Youth Tee | Buy online at Concrete Lines! Arguably the most iconic skateboard graphic of all time, ‘The Ripper’ was illustrated in 1983 by legendary Powell-Peralta artist V.C. Johnson. The Ripper graphic has stood the test of time and has been a staple of the Powell-Peralta line for over 30 years. Inspired by Lord of the Rings, George Powell asked artist VC Johnson to work on creating a new dragon graphic in 1980. He suggested designing it in a logo-like oval shape since its intended use was for stickers and t-shirts. The graphic was finalized during the Gold Cup contest series and both Caballero and McGill rocked the graphic on their boards at the Upland Finals. 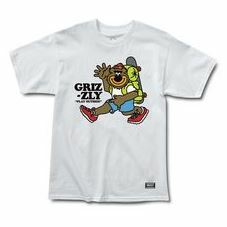 Grizzly Griptape have some of the sickest kids tee’s! The Santa Cruz x Teenage Mutant Ninja Turtles Black Youth Tee is back at it with the best kids skate tees! 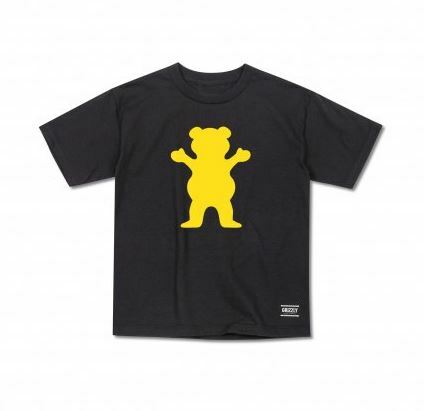 Grizzly Griptape are really on their game with this sick OG Bear youth tee! The Grizzly Reflect OG Bear Royal Cub Tee is something else from the gang at Grizzly Griptape! Finished with Authentic Grizzly Griptape woven label. The Grizzly Country Black Cub Tee – Ain’t no country like Grizzly country! The Powell Peralta Rodriguez OG Red 10″ Deck was the first pro signature deck graphic produced by Powell-Peralta. The graphic was conceived by Ray and Illustrated by V.C. Johnson with art direction from George Powell in 1979. Initially released in two distinctly different shapes; a 10″ x 30″ ‘Widetail’ version and a 10″ x 28.5″ ‘Snub Nose’, it came in ‘Brite-Lite’ Dayglo yellow, orange, purple and green. 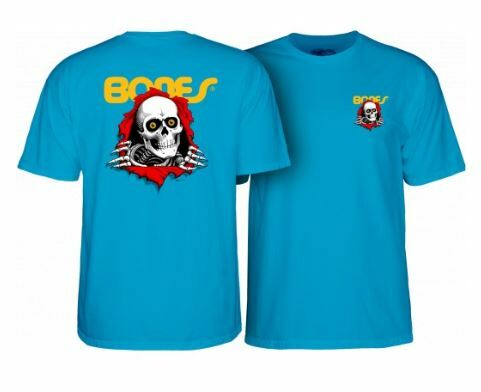 In years to follow, it was made in various different colours and a Powell Peralta logo was added. In 1983 Ray’s signature was removed and replaced with a Powell Peralta script logo. The graphic was also used for T-shirts and stickers. Better to be bigheaded then small. Not to mention, you’ve got reason to be. The Spitfire Clean Burn White Youth Tee has a large classic Spitfire Bighead graphic at front. Spitfire was founded in 1986 and has been a leader in the skate industry ever since. Live to Burn. Burn to Live. The Grizzly Country Slate Cub Tee – Ain’t no country like Grizzly country! Grizzly Griptape come up with the best kids skate tees!